If you’re a Carolinas Panthers fan, you may have been one of the 55,000 attendees at Fan Fest, the team’s pep rally to excite fans for the upcoming season, with proceeds benefitting the Panthers Charities’ work to serve communities across the Carolinas. Within that August event was another “preseason pep rally” of sorts, as the Panthers hosted teachers and principals from across the Carolinas who implemented Character Playbook in their middle schools last year. Character Playbook is a national partnership between United Way and the National Football League to bring character education into schools – a digital education program that trains students on how to cultivate and maintain healthy relationships during their critical middle school years. 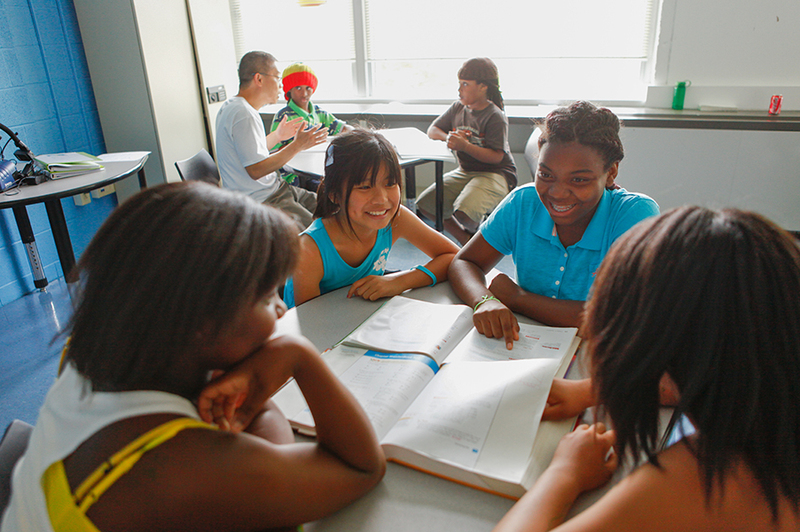 Character Playbook focuses on middle school because the transition years between early childhood and high school are a time of rapid brain development, when skills learned and behaviors repeated are hardwired. Recent research shows 62% of teachers reported instances of bullying in their schools, while 70% of parents want their children to be taught about healthy relationships before age 13. Character Playbook addresses both; topics range from helping students analyze the influences on their thinking and behavior, to resolving conflicts and stepping in to help friends and peers. Locally, Character Playbook reached more than 13,800 students in 64 schools, amounting to 25,129 hours of learning – more than 8,300 football games worth of learning! Based on assessment tests given before and after their participation in Character Playbook, students grew by an average of 40% in understanding how to resolve conflicts and gained a 24% improvement in self-awareness – specifically in stopping to think about why they’re feeling an emotion before acting. Teachers even noted academic increases from students involved in the program: after taking Character Playbook, students increased their scores on academic assessment tests by an average of 40%. Thanks to Greg Olsen’s recognition as a Walter Payton NFL Man of the Year finalist, United Way and the Panthers are expanding Character Playbook to other schools across the Carolinas this year. 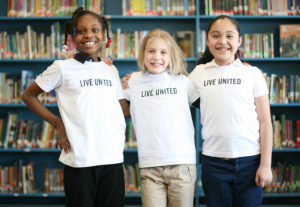 The recent United Way grant will not only bring Character Playbook to new schools across the Carolinas, it will help existing schools expand their reach. For example, James Martin Middle School is growing the program from one PE class to all three PE classes. As we fight daily at United Way for the education, health and financial stability of every person in our community, we thank the NFL and the Carolina Panthers for investing in our youth and our future. View pictures from Panthers’ Fan Fest.